GT exclusive design high-performance 6L6 Black Plate with heat sink wings like the GT E34LS and KT88SV. Very strong, smooth, and linear. Fantastic in Fender Hot Rod Deluxe, Deville, etc. 90 day warranty on power tubes, includes replacement of whole set if one tube goes bad. 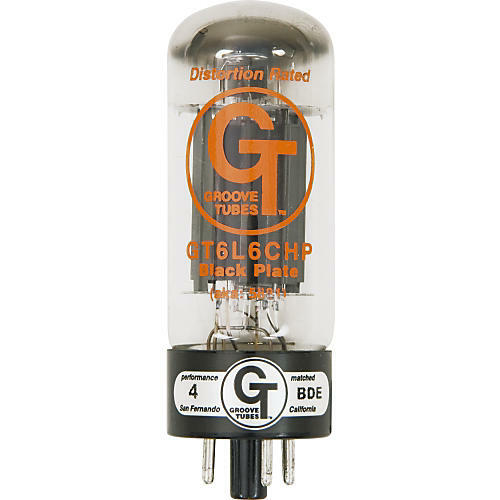 180 day warranty for preamp tubes. 3 year warranty on SubstiTubes and Solid State Rectifier. Check with M-Audio for warranty on GT microphones.